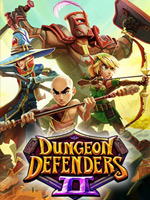 Für Dungeon Defenders 2 (Free-to-play) steht der Patch 9.5 zum Download bereit. Mit dem Update wird das neue Beutesystem auf "gebaute Waffen" ausgedehnt und der Schwierigkeitsgrad "Nightmare IV" (für bis zu drei Spieler) reduziert. Auch diverse Bugs wollen die Entwickler aus der Welt geschafft haben. Build Weapons are now in line with Loot V2. They will now generate with only Hero- or Defense-focused Stats. Build Passives that enhance defenses should generate only with Defense-focused Stats. Build Passives that enhance combat/heroes should generate only with Hero-focused Stats. The Winter Event has been turned off. The 'Ready Up' sound effect will play inside the Inventory/Forge when other players ready up. Thanks for the suggestion, u/capSAR273 and many others! Players can now skip the final build phase on the Harbinger boss battle. Nightmare IV difficulty reduced for 1-, 2- and 3-player matches. This change affects Nightmare End Game and Nightmare Incursions. Increased the drop rates on the Ramparts Incursion weapons. Heroes using weapons with splash damage were gaining the full Critical Damage bonus for every target hit, even if the initial hit only did 1 damage due to falloff. Crit Damage is now a % bonus so it proportionately scales all Hero Damage. The splash damage from crits now also falls off the further away an enemy is from the point of impact. The Defense Preview (when a defense is selected but not yet placed) will now display a defense’s true range, taking into account any Skill Spheres, passives or stat points that affect range. Fixed a bug where the Dragolich debuff stacks across multiple players. There is another debuff stacking bug associated with the Dragolich that we have planned to fix in an upcoming patch. Fixed a bug where pets would gain pet affection if you lost a wave. You will need to win the wave to gain affection. Pet-based attacks and abilities will now target the Harbinger. Fixed a bug where players could spam G on a phase transition to immediately skip the Build Phase. The Prince's ship cannons will now damage the Harbinger’s cannons. Fixed a bug where players were able to damage the Harbinger before Phase 1 starts by looking through at his health bar that is visible. The Harbinger will no longer lose his arm if you send him into Build Phase while knocking him off his cannon or destroying his cannon. Air enemies no longer get stuck (or taking very long to exit) inside the northeast air spawner on Greystone Plaza. Changed the description of the Fight Me Not Sphere to say X% Damage instead of X% Extra Damage. Fixed an issue where occasionally a player’s gem total would not load when loading into the Social Tavern. Fixed a bug where players were able to build on top of the Prince’s cannons. Fixed a tooltip issue with the currently Monthly Mission. Fixed an animation issue with the Harbinger in the final Combat Phase. Fixed an issue that could stop players from readying up in Onslaught. Damaging the Harbinger’s cannons now has an associated sound effect. Fixed an issue where the “Transform Egg” button did not indicate a sale if one was available. Fixed an issue where Orc Skeletons were falling through the ground in Temple of the Necrotic. Fixed a collision issue with pet attacks. Fixed a bug where the sellback value of items for sale in the Blacksmith and Relic shops was the same as the purchase price. Fixed an issue where the Crystalline Saber and the Harbinger Weapons were not displaying their names properly. Fixed a text issue with the Player Kick menu. Fixed a text issue with the “Get More Pet Slots” button. Fixed a VFX issue with the Steampunktress’ foot rocket in the Costume Shop. Fixed a VFX issue with the Harbinger Apprentice weapon. Fixed an animation issue with the Harbinger’s cape. Fixed a text issue on the Prince’s cannons. Fixed a collision issue in the Tavern. Adjusted SFX and VFX when you knock the Harbinger out of Meteor Strike. Fixed a UI issue when purchasing a new Inventory Bag. Fixed an issue where when Defense Crit Damage was the 2nd or 3rd stat on an item, the text extended beyond the frame of the tooltip. We'd like to try something new this week. If there's a bug or an issue you'd like to see fixed in an upcoming weekly patch, please head to this thread on our subreddit and let us know! Der erste Teil hat spaß gemacht, bis man irgendwann nur noch mit Wahnwitzigen Zeitaufwand besser werden konnte. Teilweise mehre Stunden am Stück zu spielen nur um dann von einem Steam Netzwerkfehler den Fortschritt zu verlieren war der Killer für Teil 1. Teil 2 ist wie ich sehe ja weiterhin im EAcc..von daher ist mir das recht wuscht bis es irgendwann mal fertig ist.